Samuel “Swallrus” Wall here! All of us at Star Trek Online are really proud of what we have put together for our new pilot ships. They were ambitious, but we did something really unique with the visual design. When we were tasked to create the visual design of the pilot ships, we took a lot of reference from modern planes. 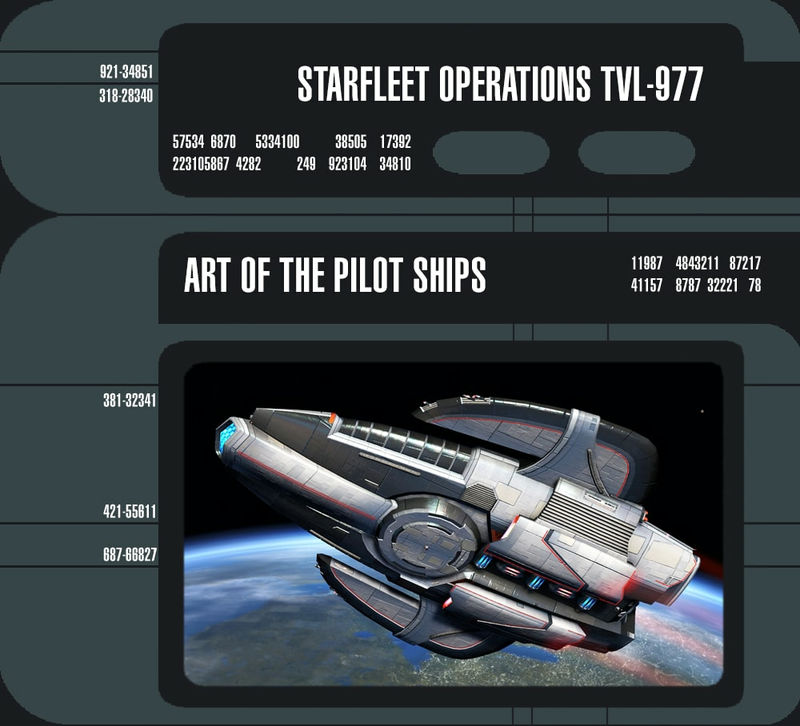 We like many of the elements that are on planes and wanted to figure out how to integrate them into the Star Trek Online’s ships. 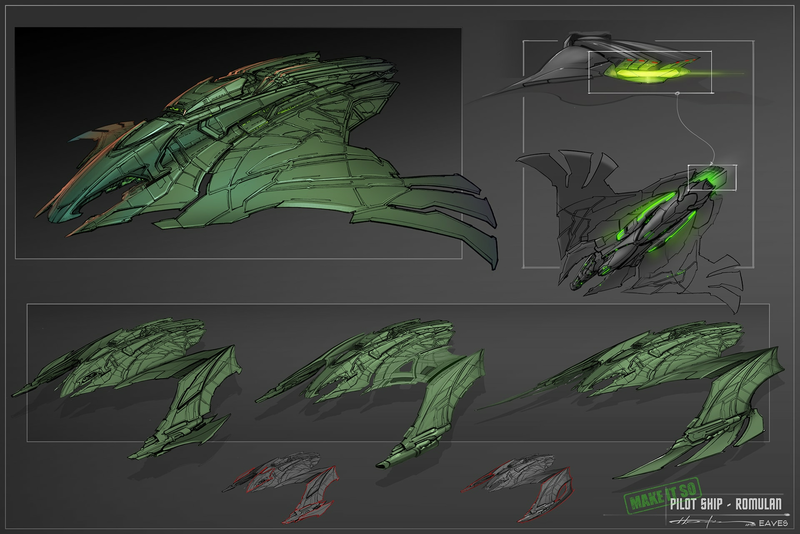 One element we wanted to work into the pilot ships' visual design was something that resembled a wing, but we don’t use that element frequently. In space, ships don't need wings! So we decided that these ships are able to maneuver in a planet's atmosphere, and the wings are needed for those flights. 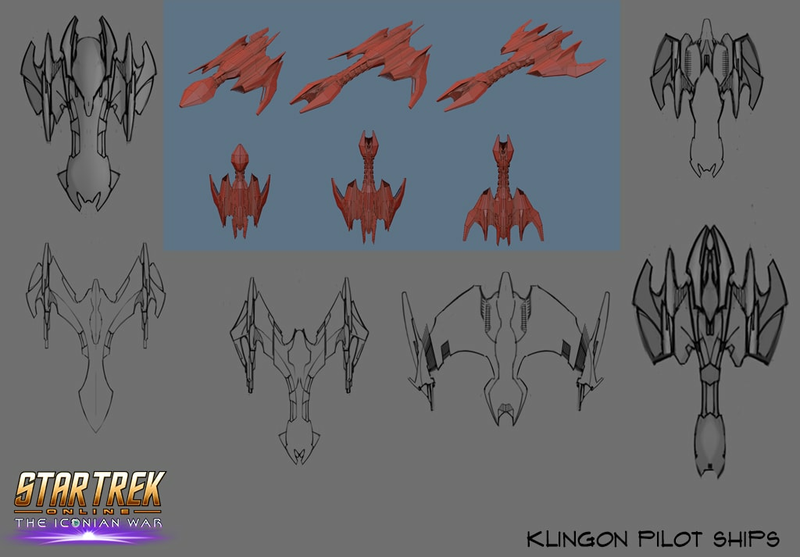 Here are some of the reference images we liked for the Klingon pilot ships. We pulled a lot of real world references, as well as some other Klingon designs. We liked the SR-71 Blackbird and the design elements of the forward swept wings on that plane. Concept Artist Hector Ortiz then put many of the ideas we had down on paper. Our thumbnails had a lot of interesting elements, but some of them were looking too much like a Romulan ship in the silhouette. We ended up choosing a few to go into 3D development, but they didn't end up working, so we pivoted a little and I am really happy with the result. The Klingon set is probably my favorite set of the pilot ships, but I play a Klingon and always favor their ship designs. 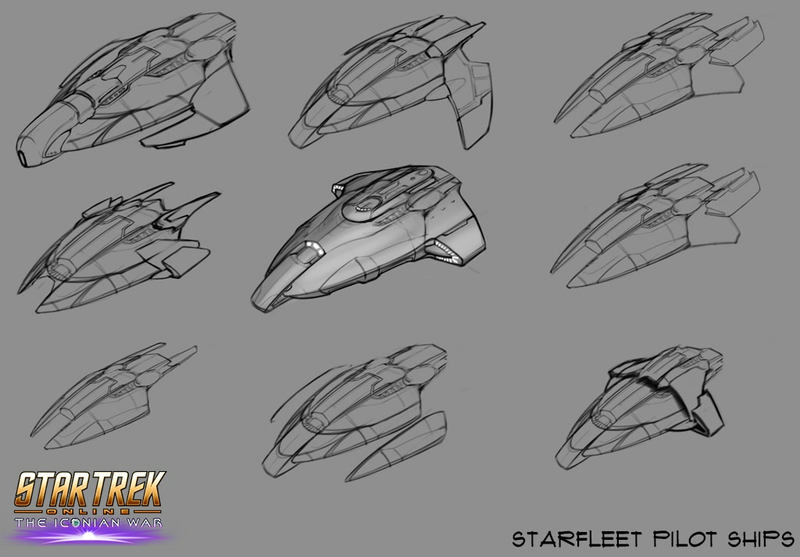 For the Starfleet pilot ships we looked at the Defiant as a jumping-off point, but we wanted to push the boundary. 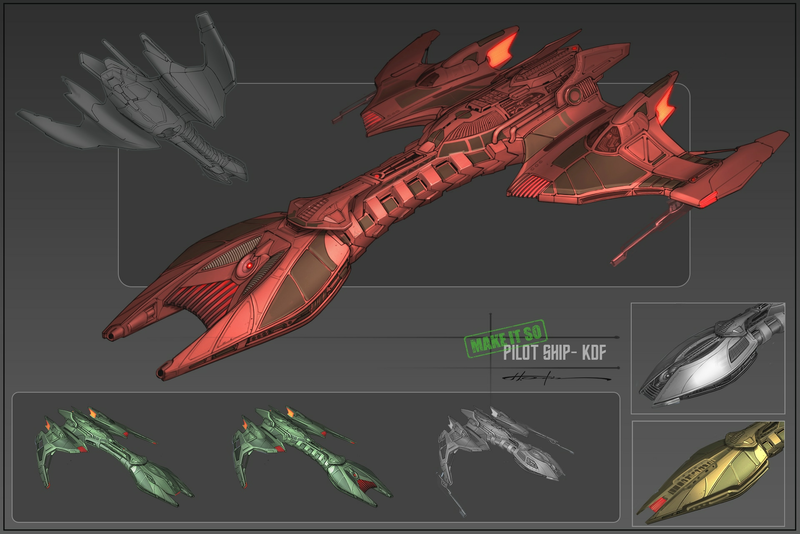 When we were introduced to the Defiant in DS9, it was radically different from what we have seen before. That is what we wanted to do with this ship – make something radically different from previous Starfleet ships. We looked at a lot of delta wing aircraft designs for inspiration. One we really like is the Saab 35 Darken. The Starfleet ships took the longest and went through the most iteration. We are pleased with how they push the boundary of what a Starfleet ship can be, but are still recognizable as Starfleet ships. We wanted to create something similar to a bird in mid-flap with the wings swept forward. After a lot of searching, a prior Scimitar concept art piece became our starting point. Hector did such a great job working the Scimitar concept it allowed us to get some variants from it. The ship team did an amazing job executing the concepts in 3D and bringing them to life in our game. We have an amazing team of talented artists – Hector, Nick, Ian, and Thomas! I’m proud of the work they did with our new pilot ships. I think they turned out great, and they are so much fun to fly. I look forward flying alongside you in game!